Indian team was in a miserable condition against Australia and England in the tri nation series in Australia just before the ICC world cup 2015 but strangely it has won all the matches of world cup 2015 so far in a very convincing way. The batsmen are playing without any trouble while the mediocre fast bowlers are performing like they are best in the field. On the other hand, Australia is in a very good form and among the favorites of world cup along New Zealand whom against they lost narrowly in the group match and remained behind them in pool A. Now, Australia vs India 2nd semi final match of ICC world cup 2015 will be played on 26th March 2015 at Sydney Cricket Ground. 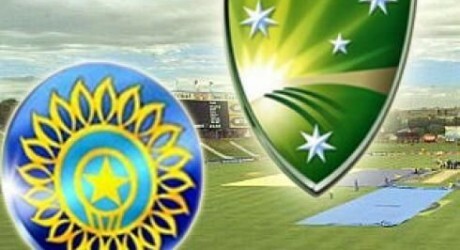 This India vs Australia 2nd semi final will start at 8:30 PKT and 14:30 local time. PTV Sports will telecast live streaming of AUS vs IND 2nd semi final match while Pakistani viewers can also watch online live scorecard of IND vs AUS semi final match which will be provided by many websites.